The combination of English and Spanish letters is an invaluable learning tool as well as a fun and exciting adventure for youngsters. Each child should have a set which includes 54 pieces. 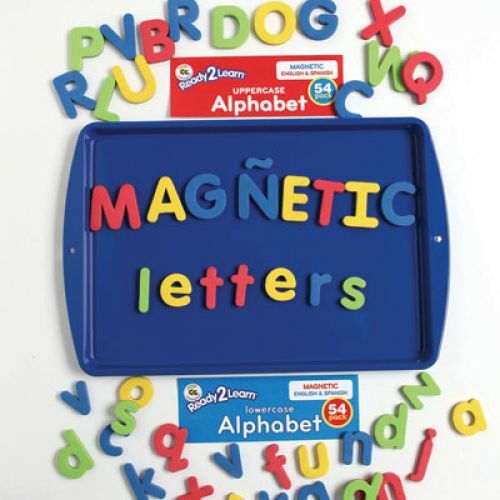 Ready2Learn™ letters are terrific to use on most magnetic surfaces. Leave notes on refrigerators or magnetic boards or use the letters to practice spelling, reading, and letter recognition, etc. The potential is endless!